So, as a gift to myself, I am going to rip it out of my kitchen! Yay! One less ugly appliance taking up room in my kitchen! It is located above my stove, so now I can replace it with a nice hood. What’s so bad about a microwave, anyways? Why would I want to stop using it? Well, have you ever considered what the microwave actually does to your food? Or, more importantly, what that microwaved food does to your body? Unfortunately, the microwave achieved instantly without much prior research to study the effects of eating microwaved food. The small amount of research done on the effects of eating microwaved food has shown that the microwave may have unfavorable effects on fats and proteins, making them more difficult to assimilate. They also revealed that the microwave caused changes in vitamin content and availability. Eating microwaved food results in abnormal blood profiles, similar to those that occur in the early stages of cancer. Microwaving milk is especially dangerous as it alters the amino acids in a manner that can be toxic to the liver and nervous system. We recommend that you resist using the microwave at all costs. Sunday nights my husband and I would always snack on popcorn with hot chocolate heated using the microwave. Since I started learning about eating more natural food, the past two times we made hot chocolate using the microwave I felt horrible! Even before I finished my whole mug! I had no idea why I felt that way then, but now I do! John Ott had three young athletes eat hamburgers prepared at a fast food restaurant. The first group ate hamburgers that were cooked in a microwave oven while another was prepared in an iron frying pan. The latter group resulted in strong muscle tests, while the same athletes tested muscularly weak with the microwave cooked food. Cooking by microwaves begins within cells and molecules where water is present and where the energy is transformed into frictional heat…This radiation results in destruction and deformation of molecules of food and in the formation of new compounds (called radiolytic compounds) unknown to man and nature. This is why I have stopped using my microwave. I have not found it a chore to use my oven more…I actually like using it more. I can put a pot of soup on the stove, walk away for 15 minutes, come back and it is hot. It is not more tedious…it just takes more planning ahead. I called Martin’s Water Appliance to request a free water test…just because I was curious about the quality of our well water. So, the guy came and tested the water and everything turned out great, but during one of the tests he asked to use my microwave, which of course was unplugged and I had to explain to him why I don’t use it anymore. To my surprise he agreed with me and told me how he and his family had also stopped using their microwave! He also told me that if he stares at the microwave while heating something, he gets a metallic taste in his mouth and he doesn’t even have any metal fillings. Haha…such weird conversations we can have with complete strangers, but it is nice to know that other people are considering the lack of safety of using a microwave. Of course, I did not question the water guy’s smartness from the moment I met him and took notice that his name is the same as my husband’s name…HA! 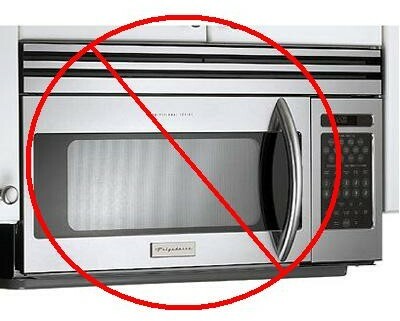 Are you considering not using your microwave? If you have given it up, what was the hardest thing about your transition? I purchased a small counter top convection oven that I use to save energy over using my big oven. It’s great for warming up leftovers that aren’t moist and stove top friendly. That was a bit of a struggle to adapt to. I stopped using my microwave years ago for myself. My husband can’t live without it. I pray he doesn’t replace it when it dies, which I hope is soon. It’s over 25 years old. I’d love to bury it and use the counter space for the 2 appliances that sit on top of it. I wanted to send you an email but can’t find an email address for you. Can you send me an email? 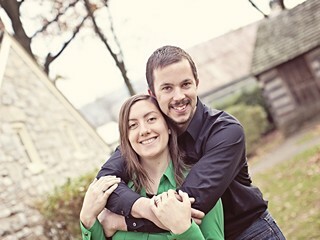 kate@modernalternativemama.com. Thanks!